At the very end of the session we drove out to the main road and there was this awesome field. I made them walk around a ton of sticker bushes until we found an opening. At this point you guys they were COLD and SOAKED and so basically they just played in the snow and I loved how these pictures turned out. 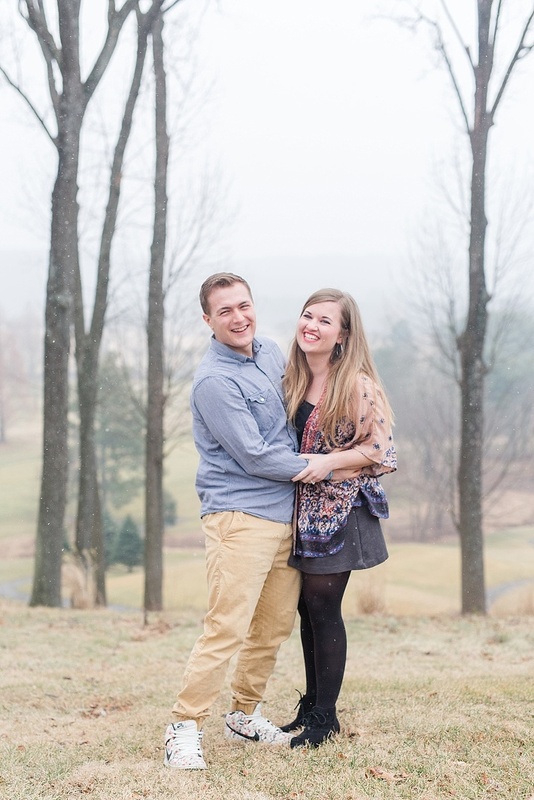 If you’d like to check out another snowy engagement session click here!